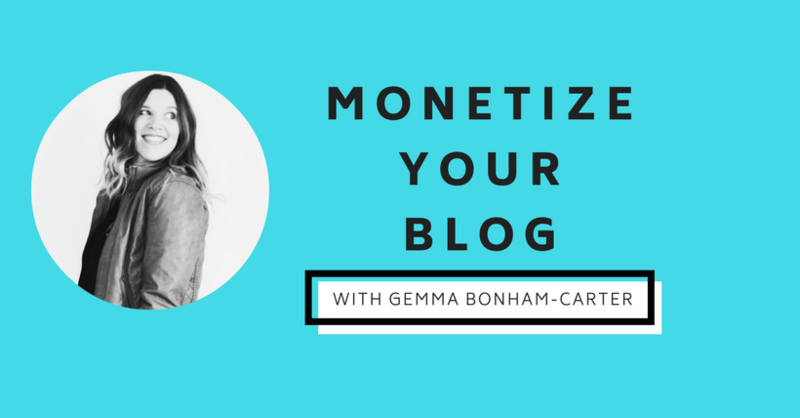 Blogging is one of those things that people often hop into with huge excitement, and then later realize how challenging it can be to increase blogging income and turn it into a real business. It isn’t like you can throw a few posts up, be active on instagram, and suddenly rake in thousands of dollars. 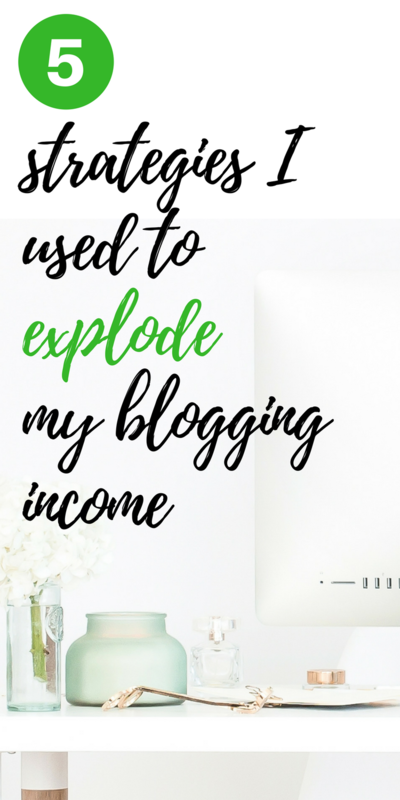 Those income reports by “6-figure bloggers” sometimes can make it seem really easy, and in reality, it is far from that. 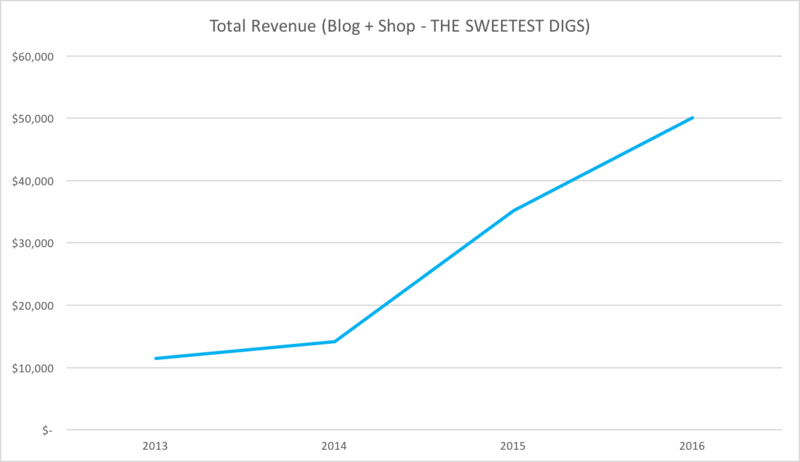 Blogging as a business requires strategy, focus, and a lot of hard work. 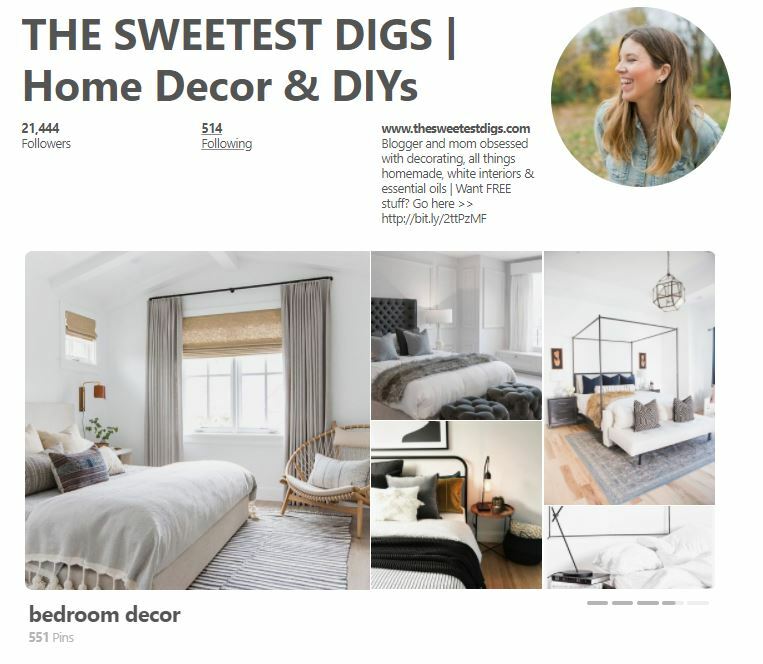 I’ve been blogging since 2010, when I started my site (The Sweetest Digs) as a hobby. Just a place where I wanted to update friends and family on our fixer upper home. Since then, I have been able to take that blog and turn it into my 9-5 job, but it didn’t come without a lot of trial and error. 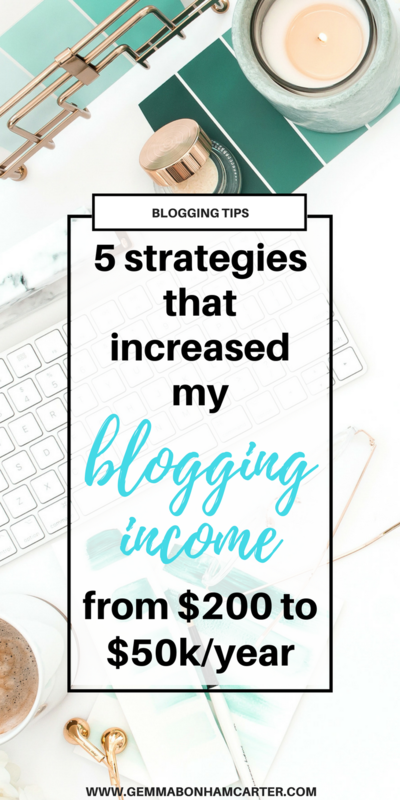 Here are 5 specific things I did that allowed me to substantially grow my blog income. 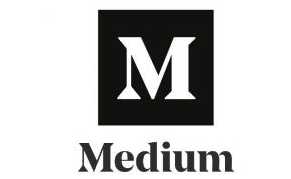 I started monetizing fairly early on with display ads, affiliate links, and sponsored posts, but I hated relying only on pageviews and other brands for revenue. It felt so out of my control. So I knew I needed to start selling my own products. 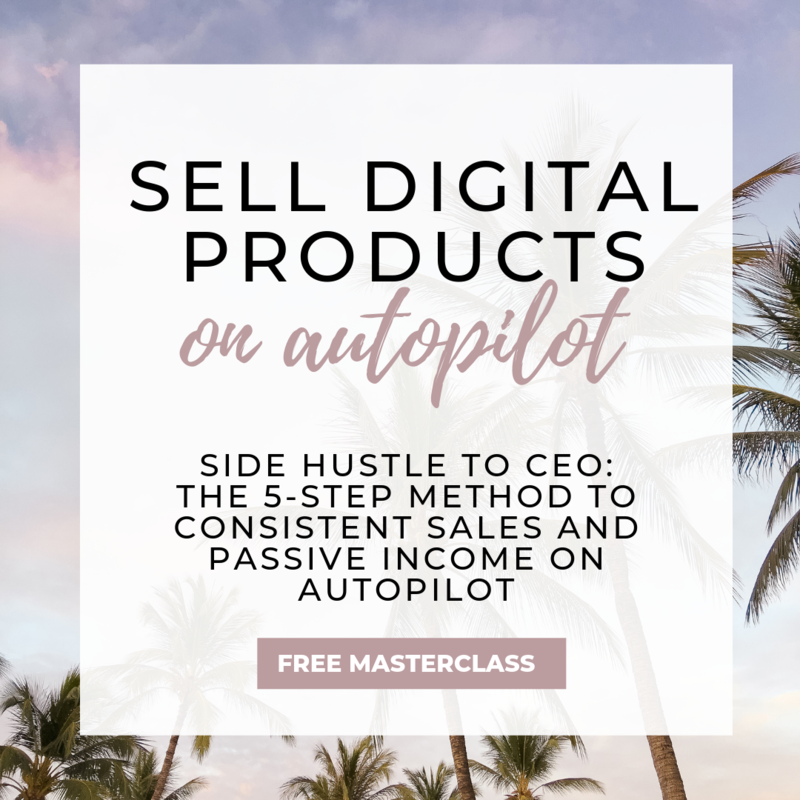 I didn’t want to sell a digital product, as I didn’t feel like it fit all that well with my audience, who were generally moms interested in home decor and stylish living. 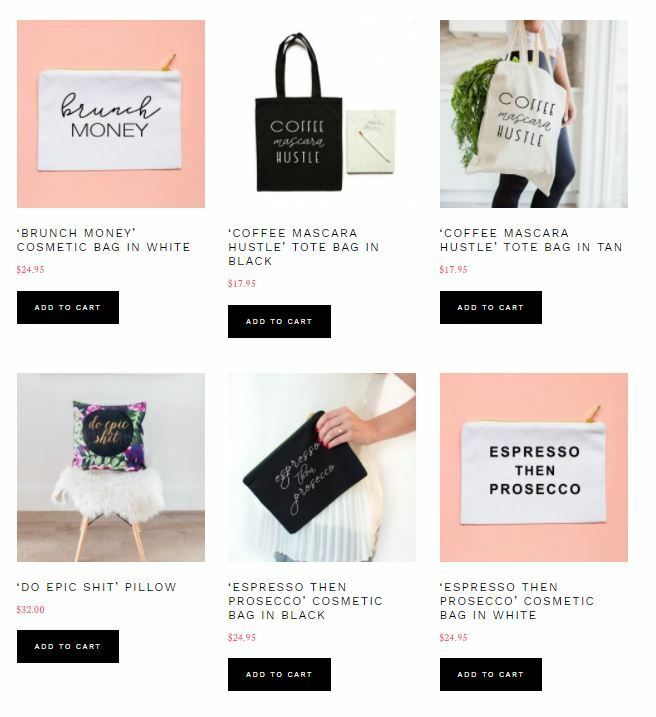 So, I decided to start an online boutique selling products like tote bags, mugs, accessories, and more. I utilize drop-ship manufacturing for this, so it’s basically as passive as it gets. No making, packaging, and shipping orders myself! Launching my shop (where I sell both on Etsy and on my blog) was a huge piece of the puzzle for me to make more consistent revenue each month. 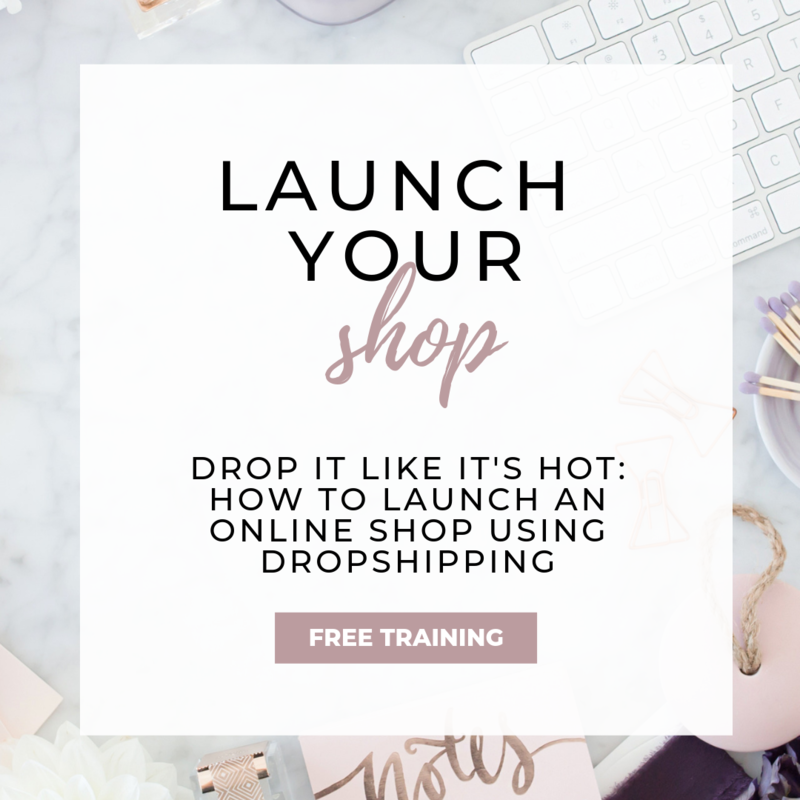 If you want to know more about how I launched my shop (it’s SO much easier than you think), then make sure to grab my Launch Your Shop Guide and get on the list for my next free masterclass. 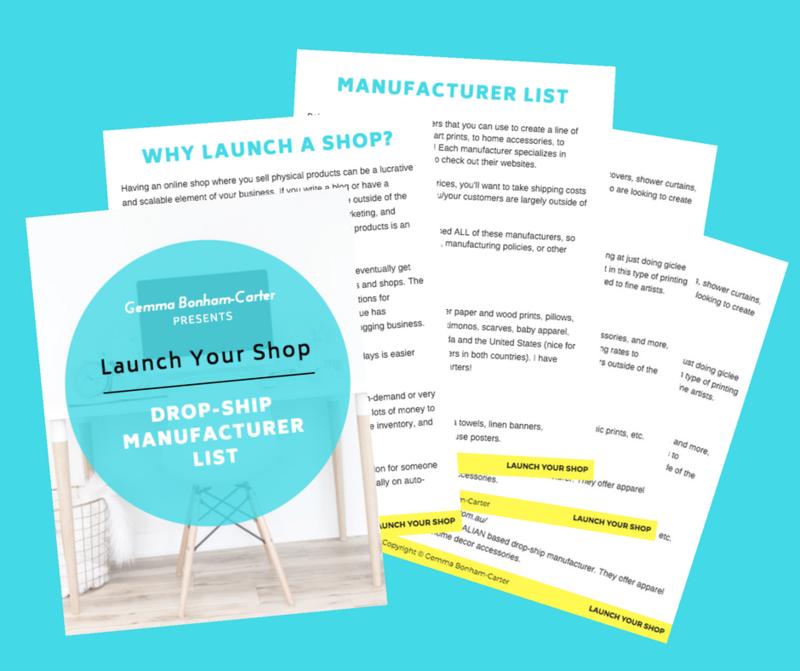 Get the FREE Launch Your Shop Guide! It’s easy to get sucked into spending hours and hours on social media, or taking photos, or in your email inbox. I’m totally guilty of this! But once I implemented a system where I was really focused on goal-setting every quarter (I use my own planner to do this! ), and looking at the ROI (“return on investment”) for every task where I was spending my time, I was able to prioritize so much more clearly. For example, I used to spend a lot of time on my blog’s Facebook page. Well, once I looked at the ROI of that time spent, I realized it did not give me enough of a return for it to be worth it. It wasn’t driving a ton of traffic, wasn’t leading to many affiliate sales, and my page wasn’t growing very quickly. It made way more sense to take some time away from that task, and put it towards other things like building my email list, designing new products for my shop, or updating popular posts with better affiliate links. Those were things where I could easily see a return on investment. Always monitor the ROI for every activity you’re doing, and do MORE of the ones with high ROI. The more time you spend on activities that bring in income, the more income you will make. Leave your cell phone in the other room, close down your social media tabs, and FOCUS! 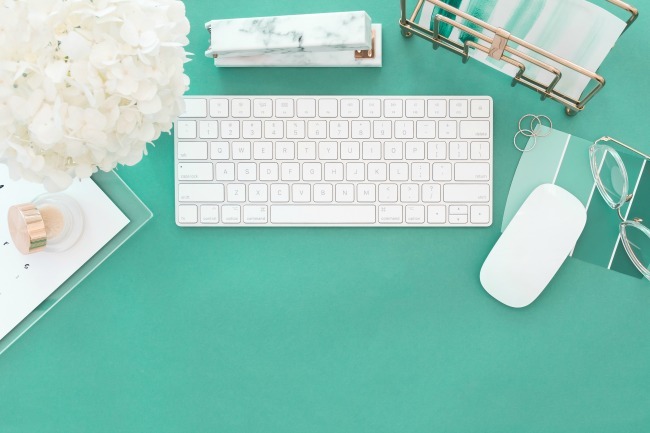 If you haven’t been focusing on your Pinterest account as a blogger, then you’ve been missing out. As soon as I dedicated time to in-depth learning about Pinterest and understanding how to use the platform to it’s max, I reaped HUGE benefits. Pinterest can be a major driver of traffic (it has consistently been my #1 source of traffic for years now), which means increased ad revenue, increased affiliate earnings, more traffic so you can charge more for sponsored posts, and way more eyeballs on your products for sale in your shop. I had my first 100,000 pageview month after I got really serious about my Pinterest strategy. I recommend registering for Melyssa Griffin’s free Pinterest webinar, where she teaches some of her best strategies. One of the things that I did not do for YEARS when I was first blogging was invest in any courses. I didn’t think I needed to, I thought they were all a bit scammy, and I figured I could learn everything for free online. 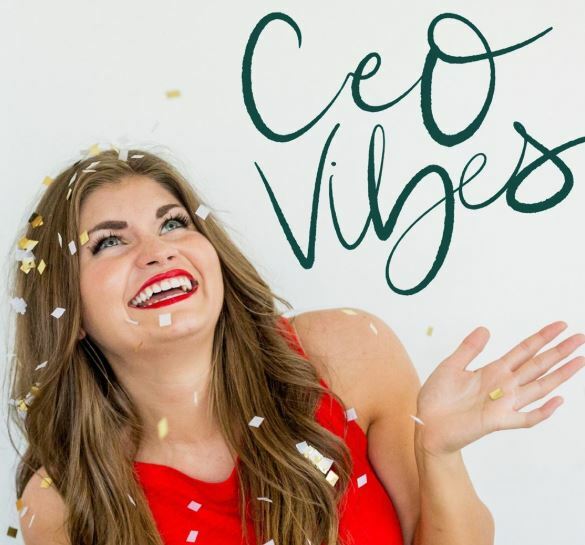 The very first course I invested in was Pinfinite Growth by Melyssa Griffin, and it was INCREDIBLY valuable. I earned my investment back within a few months of implementing her strategies. After that, I was hooked on online courses. I’m not saying to go out and throw money around buying a zillion courses you may not use, but every time you want to learn a new platform, implement a new revenue stream, or just get better at something, it’s going to save you so much time (and money) if you just invest in a course and learn from an expert. I still buy courses whenever I need them, almost always buy the Ultimate Bundle “Genius Bloggers Toolkit” every year, and have even invested in a group coaching program. I have never regretted a purchase! I always learn something. The other way to keep up on your education is to join email lists of mentors and to listen to podcasts. This was something I neglected for a long, long time. I didn’t see the usefulness in growing an email list as a blogger. I figured social media was way more important. But you know what? The people on your email list become your most raving fans. They are the ones who are going to feel the most connected to you, and the ones who will check out every post, want to buy the products you sell, click through on those affiliate links because they trust your recommendations. Email lists convert waaay better than social media platforms, and that list is all YOURS (no algorithm changes messing you up!). 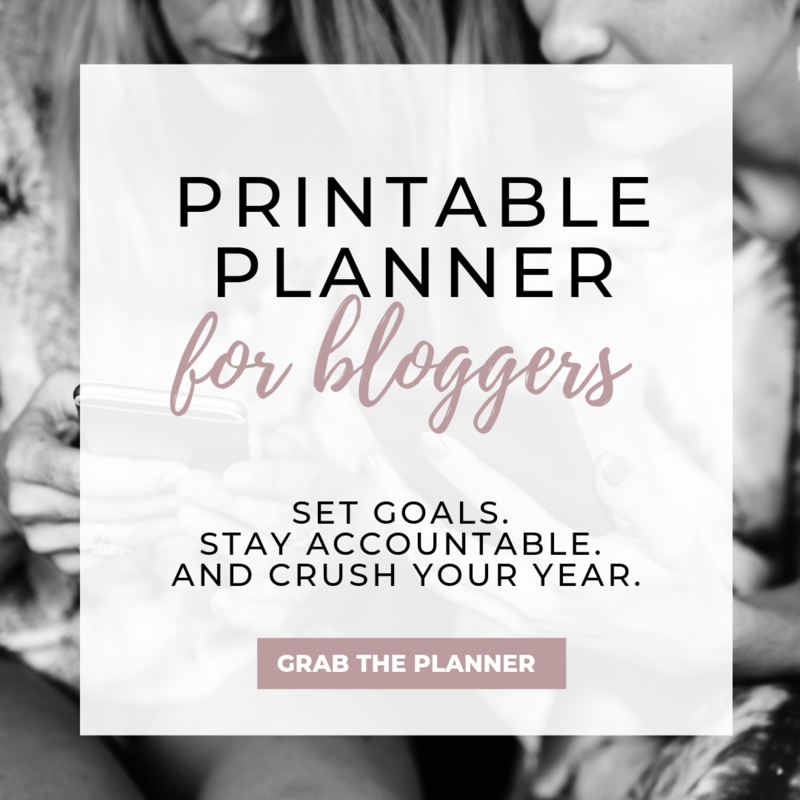 I wish I had focused on list-building in the early days of my blogging business. 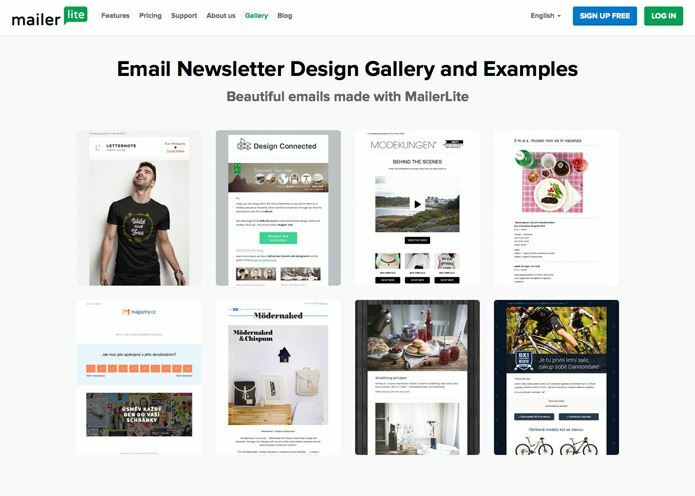 If you’re just getting started, I totally recommend signing up for MailerLite, which is free for your first 1000 subscribers. They are a great email platform, allowing you to create attractive emails, build funnels, and opt-in’s. Get a few great opt-in’s on your blog and start sending out regular emails. I personally aim to send out an email every 2 weeks to my subscribers. Here’s a post with a bunch of info on list-building. Those 5 things really changed the game for me! 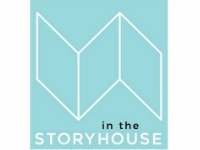 And don’t forget to Join our Private Bloggers’ Facebook Group.